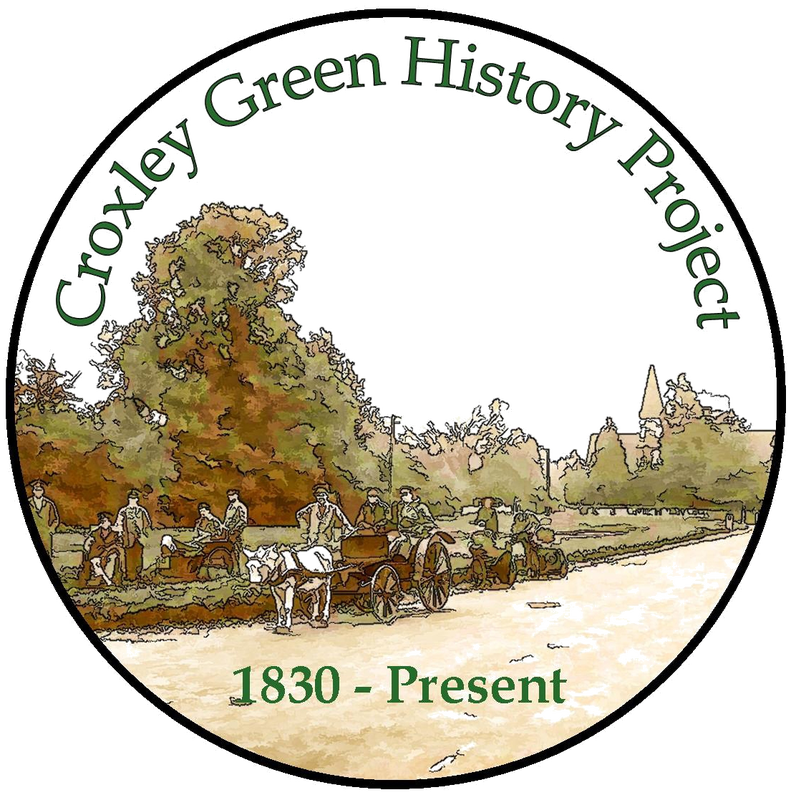 John refers to Geof Revell's poem on Croxley Green starting …..'The fairest sight I've ever seen is at Croxley on the Green.....and remembers Geof as a very good friend. A copy of the poem printed in the Watford Observer in August 1968 was sent to John by his father. The newspaper cutting refers to Geof's 'blindness' as a result of his service in the Second World War but John remembers Geof having medical problems that resulted in his 'blindness'. The version printed in the newspaper is transcribed at the end of John's memories. He suggests it may have been altered and not the original as intended? 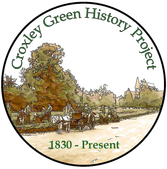 A second version, that also appears in the Public Houses section The Coach & Horses, is repeated at the end for comparison. Geof Revell was a lovely lovely person. Born in the village he was part of it. He was known by everybody and was friends with everybody. When and how we first met I do not remember. It was like that with Geof. He was always there, part of the whole atmosphere, life and ambience of the village. Through Geof I met other teenagers centred around the 'Green'. It was from this association that a group centre was established in a very large timber building on Parrotts Farm, then occupied by Colonel and Mrs Woolrych. Among the group were George and Penelope Goad, a girl named Audrey who lived in Copthorne- or was it- Copthorne Road. George for reasons never explained called her “Pouchy” The two of them had a fondness for each other and there was a general understanding that they were 'intended' almost an arranged marriage. Whether it came to pass I do not know. Another girl in the group was Betty, I think, Field. She was a great friend of Penelope and she lived in a cottage on a track at the side of Croxley House. The track led to Rousebarn Lane and the rear of Whippendell Woods, up on to the golf course. My current friend was introduced to the group by Geof Revell. 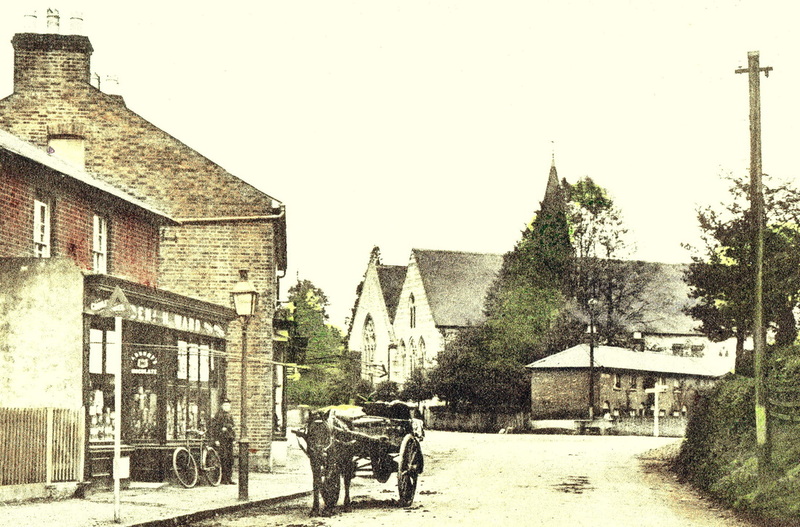 With his parents he came to Croxley and lived with an Aunt in Baldwins Lane. The family were resident in the village for three years only, but he – Jeff remembers well the club and Geof Revell. Asked how he met Geof Revell, like me, he does not really remember. He thinks it might have been when Geof delivered milk. I can well believe this. Geof, for a while delivered to us in Nutfield Close. I see him clearly now standing in the cart, two big wheels, the horse in front cantering around the village hailing and being hailed by passers by. Geof was ebullient by nature. He loved life, people and friendship. Always whistling or singing, his presence could not be missed. He was a passport to anywhere around the Green. Knowing and known by everybody he had access to places normally barred. Well I remember if we fancied delicious plump White Heart cherries we would help ourselves in Stones Orchard without check or hindrance. George Goad as a pupil at Old Merchant Taylors' School, I never understood how it came about, but through the school George had use of tennis courts in the grounds of a large house in Baldwins Lane and many a ferocious game was played there by the three of us. Where Geof and my rackets came from I have no idea. Tennis was not normally part of our lives. It could have been that George was able to provide them from the place where we played. The 'Club' consisted mainly of Penelope, Betty, Rosemary, Audrey and two of my four sisters Winifred and Edna. There was George, Geof Revell, Jeff Barnes (with whom I am still in touch) and a chap who used to cycle from Watford and we would meet occasionally in the shed at Parrotts. Geof Revell was a focal point of the 'Club'. His enthusiasm and love of company fuelled our interest and activities. Geof had a great love of music popular at the time and he organised several trips to Watford Town Hall to see Joe Loss, Ambrose and other leading orchestras who dominated the dance hall scene. During the days Geof, Jeff and me and sometimes George, would take off on our bicycles along the lanes to Sarratt, Chipperfield, Latimer, Chenies, the Chalfonts, Amersham, Aylesbury and other parts mainly of Buckinghamshire. 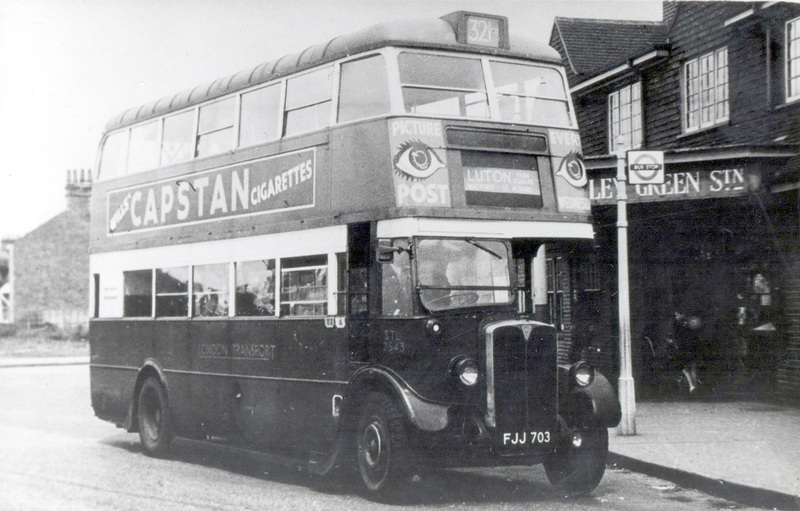 We rarely cycled in the Watford direction that was always the 321 bus. Going back to Geof's poem. He makes reference in your version to **'Nabby' – in my version to 'Nobby'. The man referred to, I believe, was the village 'Bobby' whose surname might have been Clarke. He was a somewhat ponderous individual, known to all and treated with respect. Because he knew everybody by Christian name- adults that is- and because he shared a pint with your father, he represented authority and confrontations with him were to be avoided. He would not hesitate if necessary, to give you a clip round the ear. Looking back it as appalling what you do not know and worse, did not enquire about at the time. For example I see Geof's cows 'ambling slowly by' but where they came from and went to and the name of the man in charge I never knew, nor did I ask. Of course Geof knew, but to me they were so much part of the scene it did not occur to one to seek details. They came from somewhere at the top of The Green and were driven to somewhere on the area of the church. They made the return journey in the evenings. The chap in charge of the cattle, like Geof, new everybody and would frequently pause for a chat. It was always a matter of interest and amusement because when he stopped the cattle would automatically stop and when he continued they to, without command would start to amble. Another activity we occasionally indulged in was a trip to Rickmansworth where a hole in the ground filled with water was on offer as a Swimming Pool. Where the water came from was never understood but it was untreated, unfiltered and unclear. The changing facilities were timber sheds in which were wooden benches on which to pile your clothes. The cost of this facility was threepence (3d) which suited our slender purses. When in the Army, Geof Revell was stationed not far away, Chenies I think. He had a driving licence and got the job of Chauffeur to Staff members. On occasions when he had weekend leave he was allowed to make use of the Staff car. You can imagine the fun it was for a bunch of teenagers to cruise around the locality and other villages in a monster Humber suitably camouflaged. The amazing thing was, we were never challenged. A bunch of young civvies travelling in what obviously was a substantial army vehicle with only the driver in uniform. Captain Mainwaring would have been extremely disturbed. This was a joyful time in my life and I am sure in the lives of other members of the 'Club.' of course I had other friends and activities as did all members of the group but I always remember my times on The Green and dear Geof Revell and the others, with nostalgia and deep affection. Despite the sombre backcloth of the war were were happy and took great pleasure in our companionship. Geof's poem gives a good impression of the ambience of The Green. In retrospect the sun always shone and it must be remembered that during the war we had double summer time. It seemed the days were endless with skies never darkening. How well I remember laying on the grass under a sky clear except for stars and in its course, the moon. We would lay there at the end of a warm summer day. The hours would pass unnoticed while we laughed chatted, and weaved our dreams until someone would point out that the church clock had registered midnight, the pubs were closed, a silent owl would float pass, in the adjoining meadows bleating sheep sought their mothers and the comfort of her teat- and it was time to go home with the promise of another blissful day and evening. 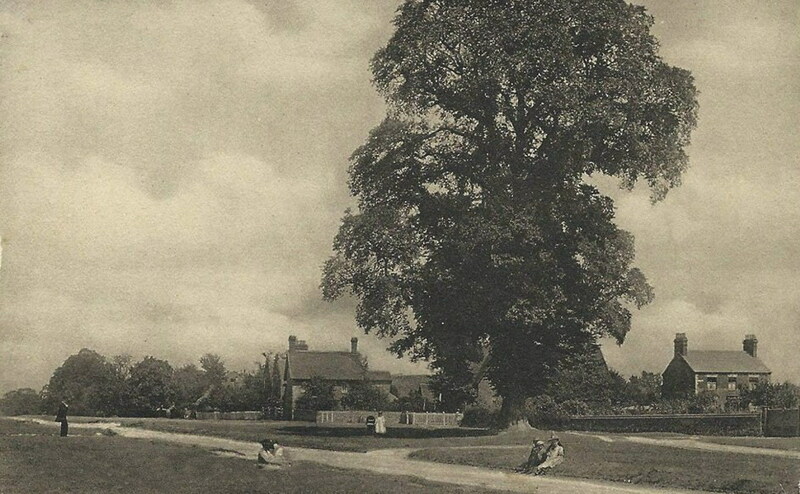 Along the Green used to be magnificent horse chestnut trees that in the spring were thickly laden with candles. It was from these that the blossoms had a delightful perfume. In my mind I revisit the paths, ditches, dells and grassy slopes in Geof's reminiscences. What more so delightful were the harebells that flourished in the grass, their delicate heads nodding in the breeze. Jeff Barnes and I recall the pleasure we had with the others, in a glass of Taylor Walker's Main Line (beer?) A refreshing and I feel sure nourishing drink but one we could only afford to partake on or shortly after pay day. I guess that most people have memories such as mine based on similar experiences but memory is subjective and deeply personal with special significance for the individual and so to me my memories are unique. The following is reproduced from a cutting John's father sent to him from the Watford Observer in August 1968. 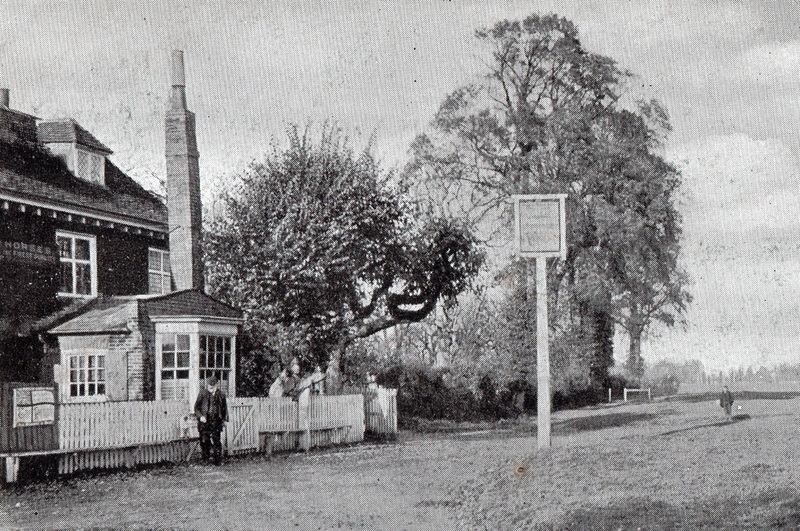 It was submitted to the paper by Mrs Collins of Dickinson Square, Croxley Green, originally printed in the St Dunstan's Magazine. As leisurely the cars go past. Udders full and dull of eye. Badly needing a coat of paint. Grassy slopes down which to roll. Because then, friend, I was not blind. The following version was recited in conversation with Mr Frank Jackson of Yorke Road.